Stories are always better when they are shared with others, and creating a book club is a great way to for chamber members to network and foster relationships – either in person or online. Not sure where to start? These steps will help you get going. Set goals: What do you want to get out of it? And what do you want your members to get out of it? This is also a great time to decide the tone or the theme (e.g., Focus on one genre, best sellers, etc.). 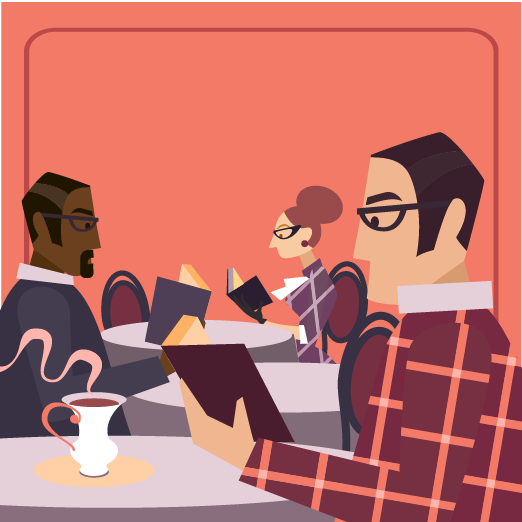 Inform your members: Let members know about your book club to see who is interested. Note: Keeping the book club between 8 and 15 people will ensure everyone gets a chance to speak. When? Agreeing on a time can be the toughest part with everyone’s busy schedule. After dinner when the younger ones have gone to bed seems to be a popular choice among other book clubs. Where? Consider hosting the club at the chamber office if possible, or pick a venue that offers adult beverages and snacks to help the conversation flow. A library provides a nice, neutral location for keeping it simple. Struggling with member engagement? You’re not alone. Read our guide, Why Member Engagement No Longer Means Face-to-Face. Communicate guidelines: This is a perfect time to give the group an idea of what to expect via email. - How often will you meet? Typically, once a month is good. - How long will meetings be? Two hours is the norm. - Other information the club needs to know. Meet! The first meeting should be the time to discuss how books and the moderators will be chosen. - Use the committee to pick books or book genres. - Will everyone get a chance to moderate, or only a select few who have the time? Take your club online: Create a virtual book club for members in different parts of the country. - Find websites that are free and easy to join to allow members of your group to post on a communal site, like bigtent.com or my-bookclub.com (this also eliminates many emails back and forth). - Become an Oprah.com member and start your own discussion thread anytime with your members around the globe and never worry about a meeting time or place! Last but not least, for local clubs always be sure to have discussion questions ready before you meet to ensure a lively discussion among your book club members.